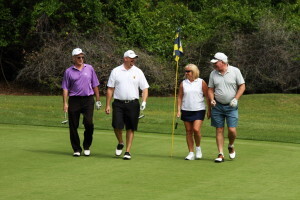 Bear Creek is commonly cited among the best 55 plus communities in Central Florida. Nestled among the lush, native foliage of Florida’s Atlantic Coast, we are an active adult community that offers serene surroundings at home, and yet are just minutes from an assortment of enjoyable recreational opportunities. Amenities – Bear Creek has three clubhouses, each with a distinct design and its own pool. Clubhouse Three has a large lap pool that wraps around the back of the building. Clubhouse Two offers courts for playing pickleball, tennis, shuffleboard, horseshoes, and bocce ball, as well as billiards tables. Clubhouse One makes for a peaceful retreat with its stone fireplace and wonderful library. Homes – Our manufactured homes are designed to be low maintenance, with vinyl siding and windows for easy upkeep. Many of our homes have been outfitted with updated appliances, new cabinetry, and carpeting. They also have dependable heating and cooling systems. Location – Our community is wrapped in lovely oak groves, which gives our residents the feeling of secluded tranquility. However, just outside our gates, you’ll find an extraordinary array of attractions, including the white sand beaches of the Atlantic coast. A short drive will bring you to the attractions of Daytona Beach, Florida’s Space Coast, the world-class theme parks of the Orlando area, and more. Activities – Each day at Bear Creek is filled with an assortment of activities, from aquarobics to softball games, Bingo, and a whole host of other events. Affordability – We offer resort-style living for those living on a retirement budget. At Bear Creek, you can have all the amenities of a memorable vacation right outside your door, and without breaking the bank. To learn more about Bear Creek and how it compares to other 55 plus communities in Central FL, contact us today.